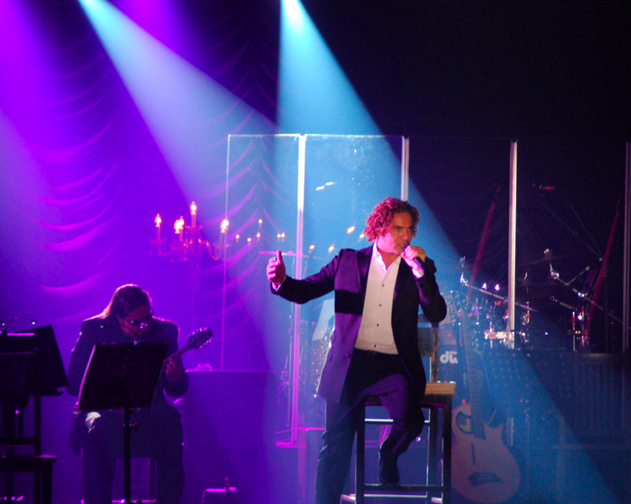 David Bisbal Ferré, who is originally from Almería gave a concert in Marbella on the 21st of July! David gained his initial fame as a runner up on the interactive reality television show Operación Triunfo. Bisbal has released four studio albums, all of which topped the Spanish Albums Chart, in addition to recording a number of live albums. The star has toured throug Europe and Latin America and is now considered to be a crossover international artist. As of 2012, David Bisbal has sold more than 5 million records in Spain and America, getting 35 Platinum albums, 17 gold and 2 diamond. 'Corazón Latino' and 'Bulería' treasure each one IFPI Platinum Award, official certification for selling over 1 million copies across Europe. Great singer,his voice is a marvel,his music is very good,David Bisbal is my number one!